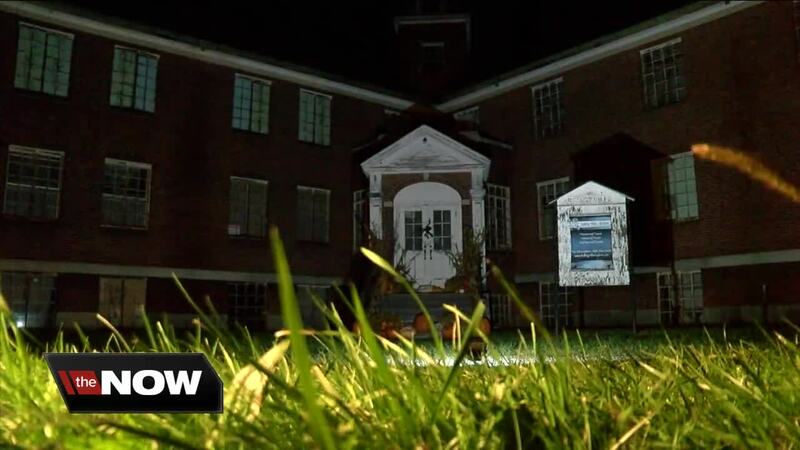 Rolling Hills Asylum in East Bethany is one of the most haunted spots in Western New York. Owner Sharon Coyle says there are hundreds of spirits on the property. Visitors and ghost hunters can take self guided tours through some of the spirit hot spots at what was once the poorhouse of Genesee County, dating back to the 1800s. To nail down the spiritual beings, people can use special equipment like temperature monitors, XCAMs that can take photographs of anomalies, and dowsing rods to measure different energies in a room. A 7 Eyewitness News team assembled together to make the trek into the abandoned halls. Ghost hunting veteran Mike Randall, spiritual expert and News Producer Paula D'Amico and reporter Rebecca Thornburg joined the Rolling Hills ghost hunters to see if they they could find some spirits. They may have gotten more than they bargained for. While taking a picture of Paula in a bed room that belonged to a former inhabitant, a white orb appeared hovering over her. In the morgue, the team experienced drastic temperature changes, dizziness, and even some mysterious energy. This is the busiest time for the Asylum. People can sign up for tours on their website.